Pustak Ka Vivaran :Ashrvini vishal bhuja vale, Keval shubh kary hi karne vale aur aarambhik kary atishighr samapt karnevale hai. Ve hamare hamare yagy mein akar hamara diya pavitr ann sevak kare aur harshit , Prasann ho jaen. Manushy apni bhujao ko prshth aur balvaan banaave , sada shubh ; Aarambh kiya hua kary atishighra parantu ann khaakar anandit , Prasann rahe………. 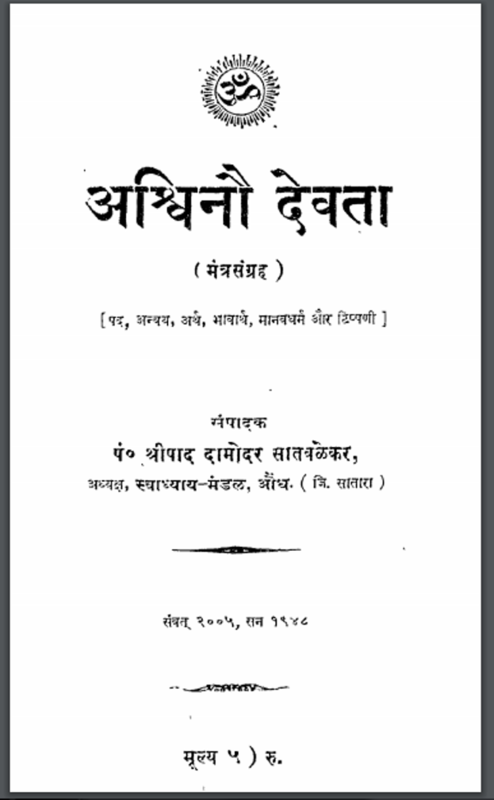 Description about eBook : Ashvarni is about to end with a huge side, doing only auspicious work and early work. They should come to our yagya and make our holy food servants and be happy, be happy. Man should make the page strong and strong, always good; The starting work is very pleasant, but it is pleasant and enjoyable.……………..